Find a job you enjoy and you'll never work a day in your life. Sunshine, travel, beautiful places and happy faces. No wonder a lot of people join the yachting industry as a lifestyle choice. Worldwide job opportunities exist for yacht captains and crew, mates, yacht stewards/hostesses, engineers, sailing instructors and delivery skippers as well as a range of support jobs on the management, sales, admin or technical side. There is currently a huge demand for skilled and qualified crew on superyachts. To work on a Superyacht is a dream job for many. Clearly it's very well paid (usually tax free). It offers a life of luxury travel to some of the world’s most beautiful locations. You live in luxury, rent free, in a stunning waterfront home. You are provided with gourmet food and just in case you get bored, you have a range of fabulous toys to play with. The best captains have a rare combination of sailing, management, technical and people skills. The responsibility of the skipper is to ensure the safety and satisfaction of the crew and guests as well as to manage and maintain the yacht. Generally bigger yachts mean more responsibility and better pay. RYA/MCA Yachtmaster Offshore & Master of Yachts 200gt (150nm) is the benchmark qualification for professional yacht skippers. With this you are licensed to skipper up to 200 gross tonnes. You can take your course in the UK or Australia. Superyacht crew work on a huge variety of sail and power vessels. The yachts are referred to as superyachts because they are bigger than 24m in length and no expense has been spared in equipping them. Some of them are literally magnificent. They are usually owned by very high net worth individuals who expect high standards of presentation and customer service. Superyacht interior crew should consider a steward/steward training course as well as RYA Competent Crew so they have basic yachting experience. Deck crew will need an RYA Powerboat Level 2 certificate (for driving tenders), a marine radio operator’s licence and an RYA Day Skipper certificate, in addition to the STCW 95 qualifications. Superyacht officers, including Captain, Mate and Officer of the Watch, all start with Yachtmaster/Master of Yachts 200gt certification. 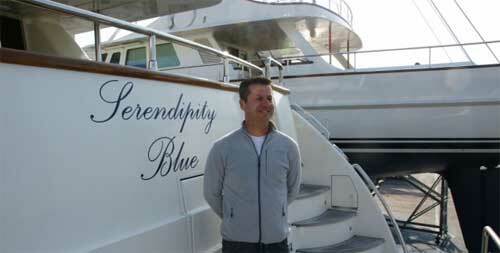 Some then work as a deckhand on a superyacht to acquire sea time before studying for command qualifications. Others choose to work as skippers on a smaller vessels before going on to upsize their certificates. 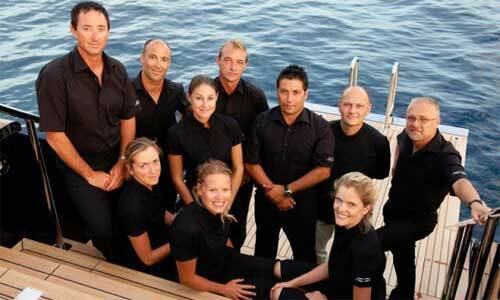 Once you have achieved Master of Yachts 3000gt you can apply for the best command jobs in the industry. 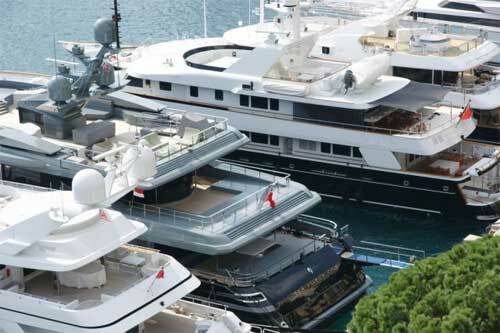 You need the right qualifications to enter the Superyacht industry. With the right training and career moves, an ambitious bright young sailor could become a Superyacht captain earning more than 10,000 euros a month, tax-free in five years from scratch. At present there is growth and opportunity in this industry but with such opportunity it is easy to see how the job market could become very competitive. Our advice - if this is for you, start tomorrow. This post was contributed by Flying Fish, a Career Break Site approved company that can get you the qualifications detailed above, and help you find a job in the industry. To find out more, visit www.flyingfishonline.com.